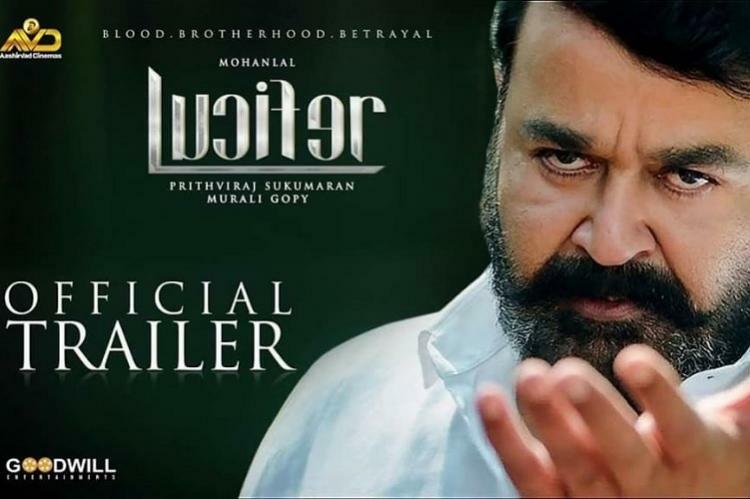 The trailer of Prithviraj’s directorial debut Lucifer was released at 9 pm on Wednesday.The movie casts Mohanlal, Vivek Oberoi, Manju Warrier, Tovino Thomas, Indrajith Sukumaran, Saniya Iyappan, Saikumar, Kalabhavan Shajohn and Nyla Usha among others. Mohanlal’s role Stephen Nedumpally looks like kickass and startling in the trailer.Seems like he is all set to raise a hell in Kerala. In the trailer he evidently says that his character is all about evil,especially depicting a dirty political maestro role of ‘Stephen’ said”the war is between evil and evil”. Prithviraj seems to have made a thrilling political drama with an ensemble cast. Lucifer may come as a perfect treat for the audience this election season. The trailer opens with Mohanlal’s character narrating a small story that kind of summarises the movie for the audience.We can assume that Mohanlal’s cold-hearted looks in it will be a warning to his rivals and the character he plays is a fearless badass. Tovino is appearing as a young politician in the trailer.His smirk and the killer swag is something to watch out for. Manju Warrier is also in the mix of ruthless politics and she also plays a grey character as we could see that she orders a murder over the phone.Rest is yet to unveil.The movie will be in theatres from March 28 and rest will be mystery until then. Being bankrolled by Antony Perumbavoor,Murali Gopi has written the film.